We talk and review a whole bunch this week. Star Trek: Discovery released a new trailer for Season 2 at New York Comic-Con and it introduces the new Spock. Aquaman had a 5 minute extended look released around the same time. "Forever" on Amazon Prime was a pleasant surprise starring Maya Rudolph. 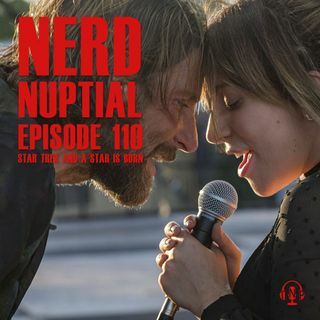 We round out the show with Lady Gaga's and Bradley Cooper's smash hit "A Star is Born" remake. Listen to hear us take in ... See More all the new and exciting media.